Sir John Robert Vane was an English pharmacologist who was instrumental in the understanding of how aspirin produces pain-relief and anti-inflammatory effects and his work led to new treatments for heart and blood vessel disease and introduction of ACE inhibitors. He was awarded the Nobel Prize in Physiology or Medicine in 1982 along with Sune Bergström and Bengt Samuelsson for "their discoveries concerning prostaglandins and related biologically active substances". Willows, also called sallows and osiers, form the genus Salix, around 400 species of deciduous trees and shrubs, found primarily on moist soils in cold and temperate regions of the Northern Hemisphere. Most species are known as willow, but some narrow-leaved shrub species are called osier, and some broader-leaved species are referred to as sallow. Some willows are low-growing or creeping shrubs; for example, the dwarf willow rarely exceeds 6 cm (2.4 in) in height, though it spreads widely across the ground. A pharmacopoeia, pharmacopeia, or pharmacopoea, in its modern technical sense, is a book containing directions for the identification of compound medicines, and published by the authority of a government or a medical or pharmaceutical society. Willow bark preparations became a standard part of the materia medica of Western medicine beginning at least with the Greek physician Hippocrates in the fifth century BCE; he recommended chewing on willow bark to relieve pain or fever, and drinking tea made from it to relieve pain during childbirth. The Roman encyclopedist Celsus, in his De Medicina of ca. 30 AD, suggested willow leaf extract to treat the four signs of inflammation: redness, heat, swelling and pain. Willow treatments also appeared in Dioscorides's De Materia Medica , and Pliny the Elder's Natural History . By the time of Galen, willow bark was commonly used throughout the Roman and Arab worlds,  :14–15 as a small part of a large, growing botanical pharmacopoeia. Materia medica is a Latin term from the history of pharmacy for the body of collected knowledge about the therapeutic properties of any substance used for healing. The term derives from the title of a work by the Ancient Greek physician Pedanius Dioscorides in the 1st century AD, De materia medica, 'On medical material'. The term materia medica was used from the period of the Roman Empire until the 20th century, but has now been generally replaced in medical education contexts by the term pharmacology. The term survives in the title of the British Medical Journal's "Materia Non Medica" column. Aulus Cornelius Celsus was a Roman encyclopaedist, known for his extant medical work, De Medicina, which is believed to be the only surviving section of a much larger encyclopedia. The De Medicina is a primary source on diet, pharmacy, surgery and related fields, and it is one of the best sources concerning medical knowledge in the Roman world. The lost portions of his encyclopedia likely included volumes on agriculture, law, rhetoric, and military arts. He made contributions to the classification of human skin disorders in dermatology, such as Myrmecia, and his name is often occurring in medical terms about the skin, e.g., kerion celsi and area celsi. 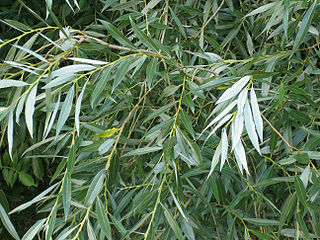 Edward Stone found that the bark of the white willow (Salix alba) could substitute for Peruvian bark in the treatment of ague. Meadowsweet (Filipendula ulmaria). Tea made from its flowers are an old folk remedy against fever and pain. Spirea, or meadowsweet, is the German namesake of Spirsäure (salicylic acid), and ultimately aspirin. The edition of 15 August 1915 of the New York World broke the news of the Great Phenol Plot and other clandestine pro-German activities that were organized by Johann Heinrich von Bernstorff and Heinrich Alberts. Bayer began advertising directly to American consumers just before the expiration of the aspirin patent. This ad, from The New York Times , 19 February 1917, emphasizes Bayer as the "One Real Aspirin" in anticipation of legal competition in the American market. Newspaper ad for Bayer Aspirin from April 1918. The aspirin patent had expired, Bayer still had control over the Aspirin trademark, seen at the bottom of the ad, and a "patriotic" slogan to buy war bonds. Also shows the factory in New York State. Sterling also took over Bayer's Canadian assets as well as ownership of the Aspirin trademark which is still valid in Canada  and most of the world. Bayer bought Sterling Winthrop in 1994 restoring ownership of the Bayer name and Bayer cross trademark in the US and Canada as well as ownership of the Aspirin trademark in Canada. Felix Hoffmann was a German chemist notable for re-synthesizing diamorphine, which was popularized under the Bayer trade name of "heroin". He is also credited with synthesizing aspirin, though whether he did this under his own initiative or under the instruction of Arthur Eichengrün is contested. The Kolbe–Schmitt reaction or Kolbe process is a carboxylation chemical reaction that proceeds by heating sodium phenoxide with carbon dioxide under pressure, then treating the product with sulfuric acid. The final product is an aromatic hydroxy acid which is also known as salicylic acid. Salicin is an alcoholic β-glucoside. Salicin is produced in willow (Salix) bark and acts as an anti-inflammatory agent in the human body. Salicin is also commonly found in the bark of Populus species, and the leaves of willows and poplars. It is also found in castoreum, which was used as an analgesic, anti-inflammatory, and antipyretic. The activity of castoreum has been credited to the accumulation of salicin from willow trees in the beaver's diet, which is transformed to salicylic acid and has an action very similar to that of aspirin. Salicin was the historical origin of aspirin and is chemically related to it. When consumed, the acetalic ether bridge is broken down. The two parts of the molecule, glucose and salicyl alcohol, then are metabolized separately. By oxidizing the alcohol function the aromatic part finally is metabolized to salicylic acid. Salicin tastes bitter like quinine. 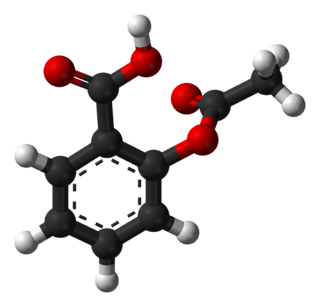 Phenyl salicylate, or salol, is a chemical substance, introduced c. 1883 by Marceli Nencki of Basel. It is synthesized by heating salicylic acid with phenol. 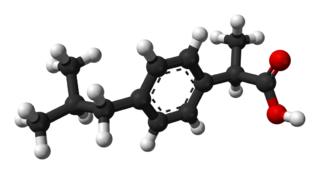 Once used in sunscreens, phenyl salicylate is now used in the manufacture of some polymers, lacquers, adhesives, waxes, and polishes. Commonly it is used in school laboratory demonstrations on how cooling rates affect crystal size in igneous rocks. Can be used to demonstrate seed crystal selectiveness. Aloxiprin is a medical drug used for the treatment of pain and inflammation associated with muscular skeletal and joint disorders. It is used for its properties as an anti-inflammatory, antipyretic and analgesic drug. It is a chemical compound of aluminium hydroxide and aspirin. The Great Phenol Plot was a conspiracy by the German Government during the early years of World War I to divert American-produced phenol away from the manufacture of high explosives that supported the British war effort, to the production of aspirin by the German-owned Bayer company, who could no longer import phenol from Britain. 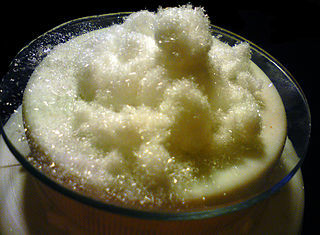 Raffaele Piria, an Italian chemist from Scilla, lived in Palmi, who converted the substance Salicin into a sugar and a second component, which on oxidation becomes salicylic acid, a major component of the analgesic drug Aspirin. Other reactions discovered by Piria were the conversion of aspartic acid to malic acid by action of nitrogen dioxide, and the reaction of aromatic nitro compounds with sulfite towards aminosulfonic acids. Salicylic acid is used as a medicine to help remove the outer layer of the skin. As such it is used to treat warts, calluses, psoriasis, dandruff, acne, ringworm, and ichthyosis. For conditions other than warts, it is often used together with other medications. It is applied to the area affected. 1 2 3 4 5 "Aspirin". Chemical & Engineering News. Retrieved 13 August 2007. 1 2 3 4 5 Goldberg, Daniel R. (Summer 2009). "Aspirin: Turn of the Century Miracle Drug". Chemical Heritage Magazine. 27 (2): 26–30. Retrieved 24 March 2018. ↑ The History of Aspirin 22/01/2019. ↑ Nunn, John F. (1996). "7". Ancient Egyptian Medicine. Norman, OK, USA: University of Oklahoma Press. pp. Ch. 7: Table 7.2. ISBN 978-0-8061-2831-3. 1 2 3 4 5 6 Jones, Alan (2015). Chemistry: An Introduction for Medical and Health Sciences. John Wiley & Sons. pp. 5–9. ISBN 9780470092903. ↑ Edmund Stone (1763) "An account of the success of the bark of the willow in the cure of the ague," Philosophical Transactions of the Royal Society of London, 53 : 195–200. Available on-line at: Royal Society Publishing. ↑ A. Buchner (1828) "Ueber das Rigatellische Fiebermittel und über eine in der Weidenrinde entdeckte alcaloidische Substanz" (On Rigatelli's antipyretic [i.e., anti-fever drug] and on an alkaloid substance discovered in willow bark), Repertorium für die Pharmacie, 29 : 405–420. ↑ (Leroux, H.) (1830) "Mémoire relatif à l'analyse de l'écorce de saule et à la découverte d'un principe immédiat propre à remplacer le sulfate de quinine" (Memoir concerning the analysis of willow bark and the discovery of a substance immediately likely to replace quinine sulfate), Journal de chimie médicale, de pharmacie et de toxicologie, 6 : 340–342. ↑ F. Pagenstecher (1834) "Ueber das destillirte Wasser und Oel der Blüthen von Spiraea Ulmaria" (On the distilled water and oil of the blossoms of Spiraea ulmaria), Repertorium für die Pharmacie, 49 : 337–367. The author's full name is Johann Samuel Friedrich Pagenstecher (1783–1856). ↑ Piria (1838) "Sur de neuveaux produits extraits de la salicine" (On new products extracted from salicine), Comptes rendus … 6 : 620–624. On page 622, Piria mentions "Hydrure de salicyle" (hydrogen salicylate, i.e., salicylic acid). 1 2 Sneader W (2000). "The discovery of aspirin: a reappraisal". BMJ. 321 (7276): 1591–4. doi:10.1136/bmj.321.7276.1591. PMC 1119266 . PMID 11124191. 1 2 3 Lafont, Olivier (1996). "Mise au point sur les publications relatives à la synthèse de l'acide acétylsalicylique" [Clarification on publications concerning the synthesis of acetylsalicylic acid]. Revue d'Histoire de la Pharmacie (Submitted manuscript) (in French). 84 (310): 269–273. doi:10.3406/pharm.1996.4350. PMID 11624864. 1 2 Gerhardt C (1853). "Untersuchungen über die wasserfreien organischen Säuren". Annalen der Chemie und Pharmacie (in German). 87: 149–179. doi:10.1002/jlac.18530870107. and Gerhardt C (1853). "[ "Recherches sur les acides organiques anhydrides"] (Research on organic acid anhydrides)". Annales de Chimie et de Physique (in German). 37: 285–342. doi:10.1002/jlac.18530870107. ↑ von Gilm H (1859). "Acetylderivate der Phloretin- und Salicylsäure". Annalen der Chemie und Pharmacie (in German). 112 (2): 180–185. doi:10.1002/jlac.18591120207. ↑ Anne A.J. Andermann, "Physicians, Fads, and Pharmaceuticals: A History of Aspirin Archived 18 April 2008 at the Wayback Machine ", McGill Journal of Medicine], vol. 2, no. 2 (1996). Accessed 4 April 2008. ↑ "Felix Hoffmann – Personalities of Bayer's History". Bayer. Archived from the original on 16 November 2016. ↑ Sneader, Walter (16 March 2001). "Re: Aspirin history: Is there a need for a reappraisal ?". The BMJ. ↑ "Bayer AG: Zum Vortrag von Dr. Walter Sneader über die Entwicklung der Acetylsalicylsäure" (in German). Archived from the original on 14 July 2007. Retrieved 10 March 2009. ↑ "Bayer patents aspirin". History Channel . Retrieved 5 March 2011. ↑ Kiefer, J. P. (1981). "Aspirin: A trademark". Canadian Family Physician. 27: 1202. PMC 2306102 . PMID 21289783. ↑ "Aspirin Brand or Aspirin Tablets? Avoiding the "Genericide" Headache in the United States". Archived from the original on 30 May 2008. Retrieved 13 November 2008. ↑ Miner J, Hoffhines A (2007). "The discovery of aspirin's antithrombotic effects". Tex Heart Inst J. 34 (2): 179–86. PMC 1894700 . PMID 17622365. ↑ Sundberg, Richard J. (2017). The Chemical Century: Molecular Manipulation and Its Impact on the 20th Century. CRC. p. 491. ISBN 9781315342030.